As the first boats arrived in Santa Marta Colombia completing the first leg of this year’s World ARC, government officials have been working hard to promote this ancient city as a safe and welcoming destination for yachtsmen in an on-going attempt to eradicate the perception that security is an issue here. They were also having to manage a public relations set back following an armed boarding and robbery two month ago aboard a 60ft Australian catamaran which had been anchored in Taganga Bay a few miles north of Santa Marta. Incidents of this nature in Colombia are genuinely rare, but the news of this isolated event spread like wildfire through the cruising community and any perception of insecurity was temporarily heightened. With 33 WARC yachts due to arrive in Columbia’s showpiece marina and another 23 already here as the Ocean Cruising Club’s western Caribbean rally passes through, there has been plenty of dockside chat about just how successful the country has been in persuading yachtsmen that this country is now a perfectly safe place to visit. The most reliable proof of this comes from the yachtsmen and women themselves. Almost without exception those who had been in Colombia for any length of time said they had enjoyed a friendly, helpful and fascinating experience with security afloat and ashore simply not an issue. Moreover the extraordinarily cheap cost of living, excellent food and generally good-natured attitude of locals made their visits memorable. Take Canadians Geoff Goodall and Linda Erdman aboard their Bowman 36 Curare, for instance. They have been sailing in Central and South America for the last eight years since leaving their home port of Vancouver. Linda used to work in Bogota and the couple know the country well. They have felt safe at all times and simply haven’t come across any threatening behaviour. “In fact the one time we did feel that security was an issue was in St Lucia,” said Geoff. “There’s no doubt that Santa Marta is now well and truly on the cruising circuit,” he added. 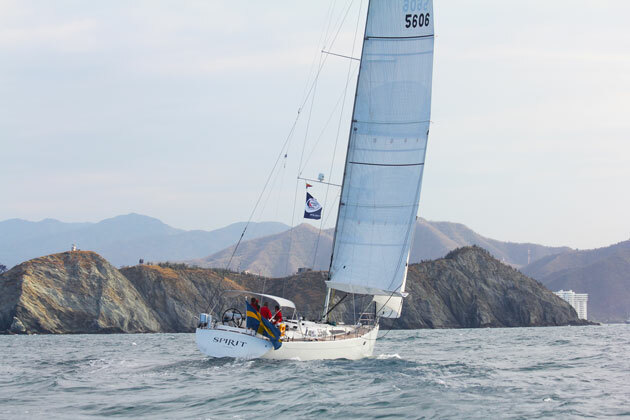 Graham and Wendy Bobbit aboard their Oyster 42 Oystermist from Swanage in Dorset, UK, are part of the Ocean Cruising Club rally and they had nothing but praise for their Colombia experience. “We were really surprised at how nice it’s been,” said Graham. They have been cruising in the area for four years. 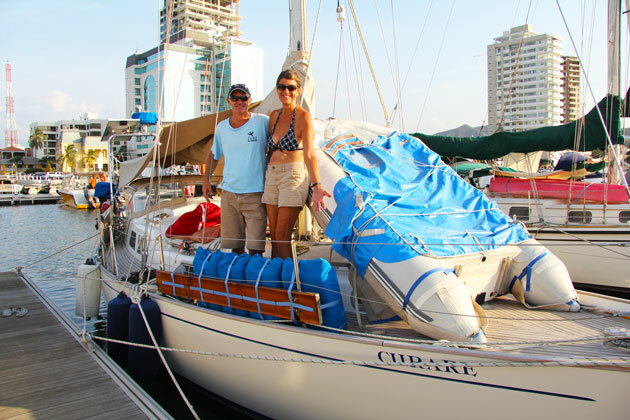 Experienced American cruising couple Jeff and Mary Pernick aboard their catamaran Echo who had been in the area for some time also loved their time in Santa Marta. But one is still left with a nagging doubt that things can go wrong. When the relative wealth of the yachting community finds itself alongside the kind of poverty that certainly exists in Colombia one senses that issues might arise. Yachtsmen simply accept this as par for the course in the cruising life – any life in fact – and understand that if common sense and decency are respected by visitor and local alike, trouble will be avoided. Sandra Howard, Colombia’s Vice Minister of Tourism who made a special visit to the WARC stopover, was refreshingly open about the Taganga Bay incident. “We have to be blunt about this – this wasn’t organised crime – these things can happen,” she said. She advised yachtsmen to use marinas when they can (there are another three planned for Colombia’s Caribbean coast) and to take precautions when anchoring in out of the way places. Don’t linger too long, especially if you are the only boat there and be aware of how to contact local security authorities like the coastguard and marine police who are clearly keen to help the visiting international yachting community. 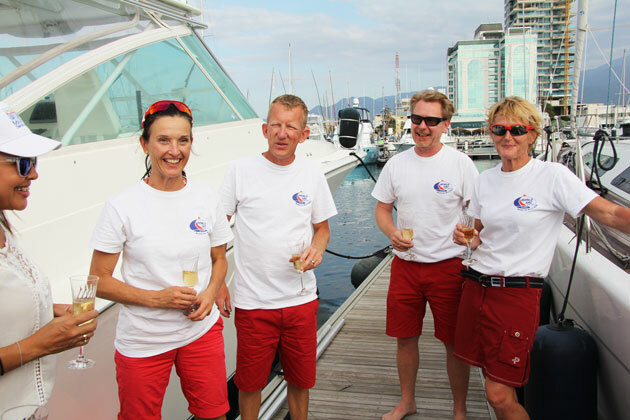 In the meantime, the 33 WARC participants have had a downhill ride from the rally start and finish port in St Lucia. The leading boat, Erik Lingren and Pia Hulfgren’s Baltic 56 Spirit V took about four days and her crew looked as fresh as daisies after the passage. Barbecues on the beach, a tour of the old and fascinating city of Santa Marta, a visit to one of Colombia’s spectacular national parks and some time to relax before heading to Panama will fill their days. It’s fair to say that by the time they are due to re-start next week they’ll have wished for considerably more time to linger in this fascinating and thoroughly engaging destination.